February 15 at 7 pm. 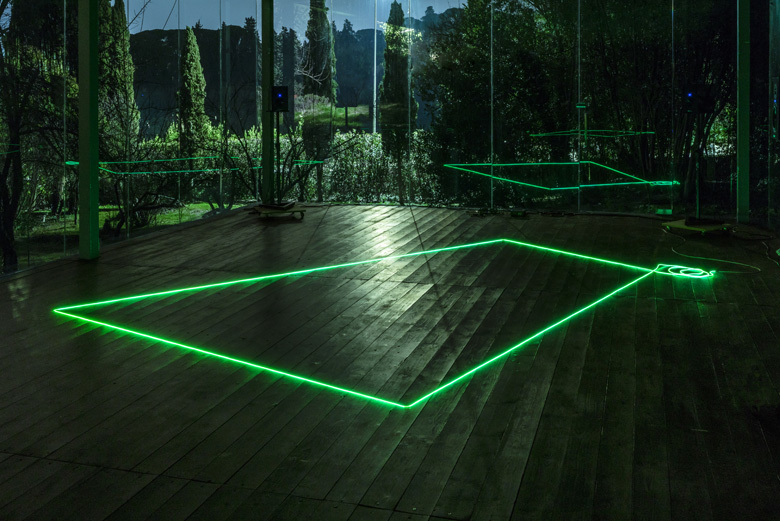 At the beginning of their ten-month stay in Florence, the Villa Romana Fellows 2019 will introduce themselves in a joint exhibition of new works. KAYA (Kerstin Brätsch and Debo Eilers), Marcela Moraga, Christian Naujoks and Rajkamal Kahlon have been nominated for the fellowship by artist Maria Thereza Alves and Eva Birkenstock, Director of the Kunstverein für die Rheinlande und Westfalen in Düsseldorf. KAYA is a cooperative project initiated in 2010 by Kerstin Brätsch and Debo Eilers. Both artists work independently and in collaborative projects. While Kerstin Brätsch operates with painting as a medium that is mutable and closely relates to the physicality of the body, Debo Eilers works instead with sculptural tensions. KAYA conceives of itself as a cumulative project: each new manifestation builds on all the previous works created jointly. Works by KAYA have been displayed in 2018 in the Fondazione Memmo in Rome. 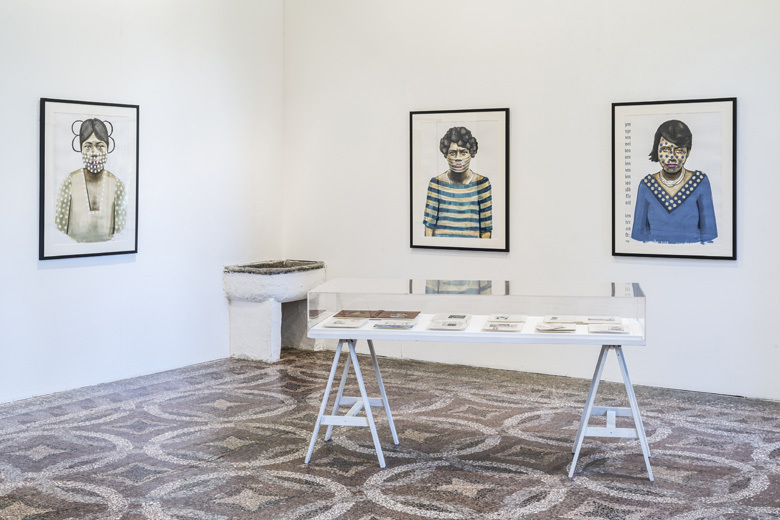 In 2017 KAYA exhibited in the Museum Brandhorst in Munich and also gave a workshop that refers to the Munich exhibition in the Museo Madre in Naples. In 2015 KAYA organised KAMP KAYA in the KUB Arena of the Kunsthaus Bregenz. Marcela Moraga studied in Chile and Germany and now lives in Berlin. 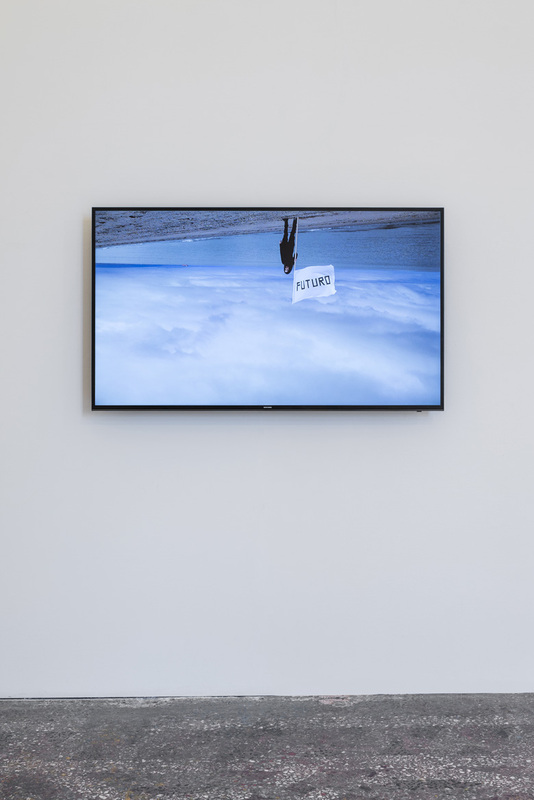 She works in performance, video and installation, looking at the order and movement in public spaces as well as the relationship between culture and nature. In doing so, she focuses on ephemeral, undefined spaces in order to activate relationships there. Moraga also works with textiles, which she sees as woven spaces that can be read as an object, architecture or a two-dimensional image. She has held solo exhibitions in Berlin, Santiago de Chile and Hamburg, and has taken part in numerous group exhibitions in France, Germany, Holland, Brazil, Chile, Egypt and South Korea. Christian Naujoks is a sound artist and composer. He studied in Leipzig and Weimar and has appeared in numerous exhibitions as well as performances and concerts. He frequently cooperates with other artists, as in his collaboration 2018 with Ei Arakawa and Sarah Chow in the Kunstverein in Düsseldorf or in 2017 with Ei Arakawa and Dan Poston during the Skulptur Projekte Münster. In his compositions Naujoks works with the mimicry of prototypes, which he draws into new contexts, whether those are serious music or pop, modernism or romanticism. Rajkamal Kahlon now lives in Berlin, after studying in California and New York. Kahlon references and draws over historic print graphic works from colonial propaganda, ethnography and so-called racial sciences. Using extractions, enlargements and additional details, she dissects their former illustrative function, thereby rehabilitating bodies, histories and cultures that have been violated or wiped out. In 2017 the Weltmuseum Wien invited her to present her solo exhibition Staying with Trouble, in which she interpreted the holdings of the museum´s photographic collections. 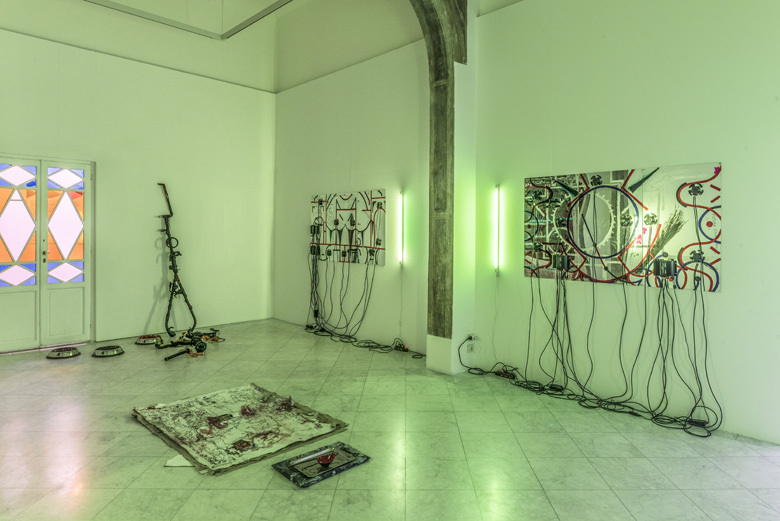 The title of the exhibition refers to the biologist and science philosopher Donna Haraway, whose work has influenced Kahlon´s working processes. Each year, the Villa Romana Prize is awarded to four artists of outstanding artistic quality living in Germany. The Villa Romana Fellowship includes a ten-month residency at the Villa Romana in Florence, free use of an atelier and a monthly stipend. At the end of their stay they jointly produce a publication.